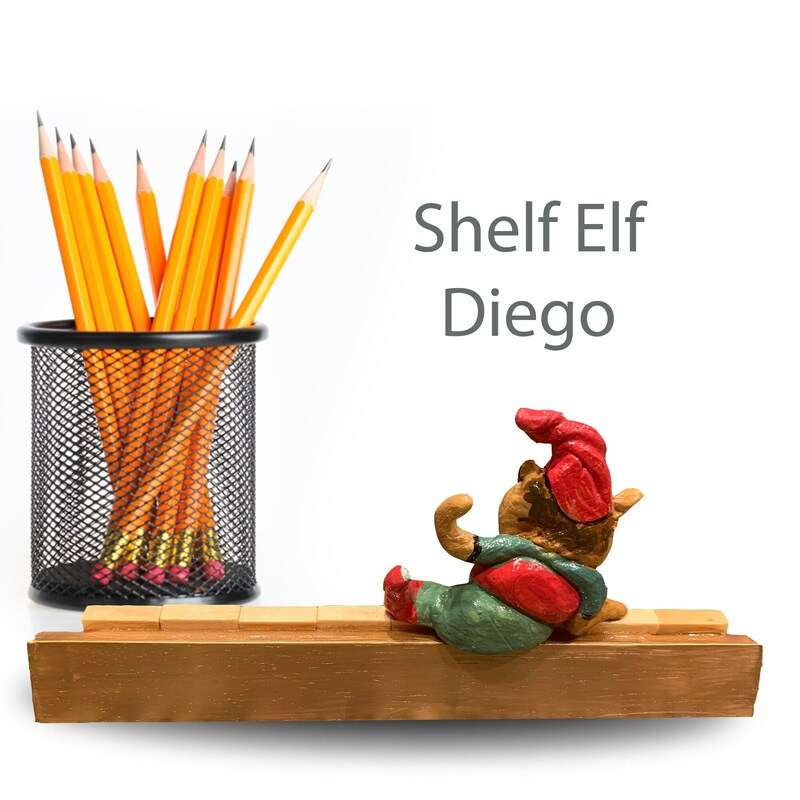 Diego the shelf elf is looking a place to call home. 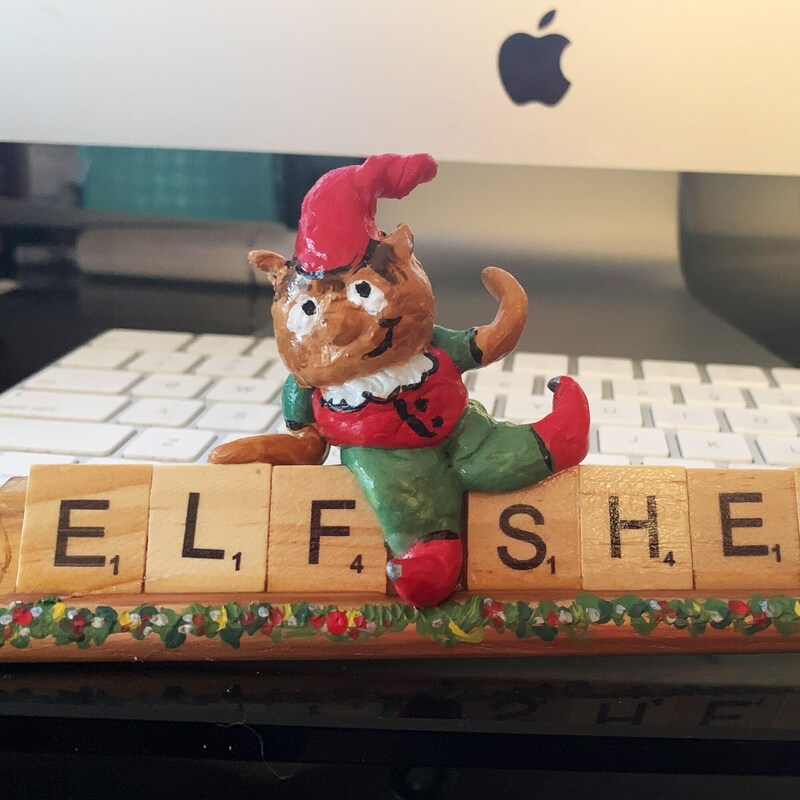 He brings a bit of holiday cheer wherever he sits. His festive outfit and fancy shoes make him the perfect house guest. 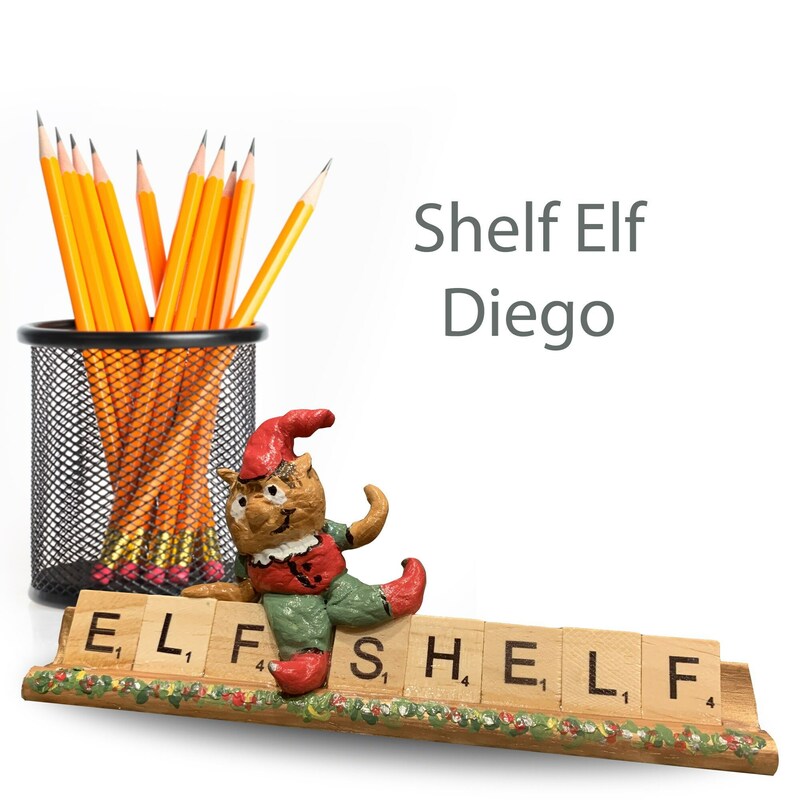 He is waiting for you to buy him a ticket to travel home to you.